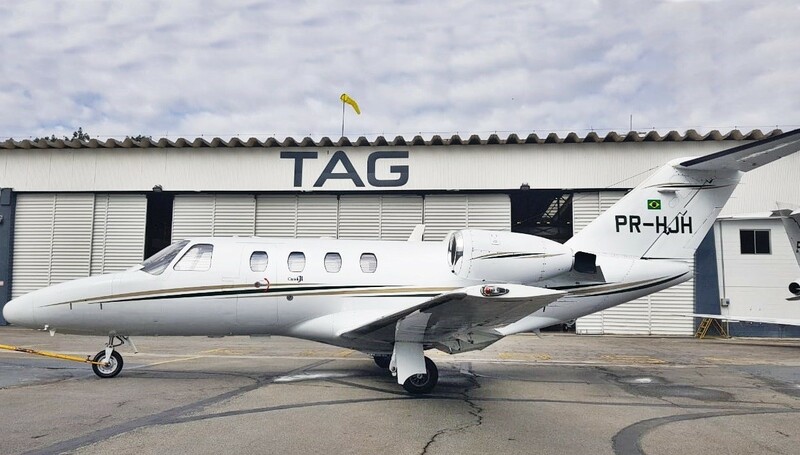 The Cessna Citation CJ1 (Model 525) is a lightly-revised variant of the original CitationJet, offering the Rockwell Collins Pro Line 21 avionics suite, increased fuel capacity, and a slightly higher maximum takeoff weight. Its Williams FJ44-1A turbofans burn an average of 134 gallons per hour, impressively efficient for light, private jets, while offering 1,900 pounds of thrust on takeoff. The CJ1 was specifically designed to be able to operate on short runways, offering take off distances as low as 3,080 feet. The CJ1 also offers surprisingly high payload capacity, with its three baggage compartments offering room for up to 832 pounds of luggage. For detailed specifications and photos of ALL On Market Cessna Citation CJ1, please complete the form below.